The first computed ratio is much larger compared to the other ones. Without removing this value from the complete list of values, I obtained $p = 1.2615$ as the order of convergence of my algorithm. However, when I computed the order of convergence after removing the outlier (the first calculated ratio), I got $p = 1.0495$ (see figure). My question is, which of the two is the correct order of convergence of my algorithm? Browse other questions tagged convergence or ask your own question. 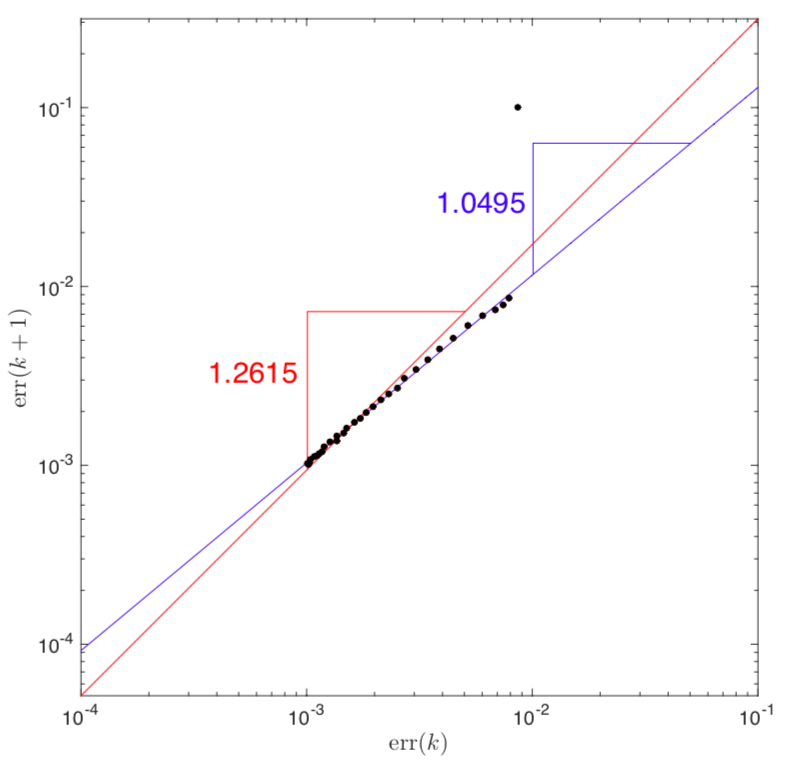 How does weak convergence feel, numerically?